The U.S. Air Force has awarded Lockheed Martin (NYSE: LMT) a $132.6 million contract modification to provide two KC-130J Super Hercules configured aircraft to France under the foreign military sales program. 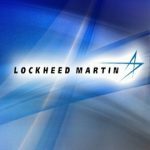 Lockheed’s aeronautics segment will perform contract work at a company facility in Marietta, Georgia through April 30, 2020, the Defense Department said Wednesday. The Air Force Life Cycle Management Center at Wright-Patterson AF Base is the contracting activity. France’s request to purchase two Lockheed-built KC-130J aerial tankers and C130J transport planes from the U.S. under a $650 million FMS agreement was approved by the State Department in November 2015.